Welcome. 🙂 On this page are photos of beings of light projecting/radiating their energies in specific shapes, forms and colours. These include light forms in the shape of birds, angelic forms, orb-like forms and more abstract or unusual forms. I’ve taken these photos since 2012, and remain immensely moved by these appearances, and the symbolism and grace they represent. They truly are an experience of pure loving connection across multiple dimensions. Deepest thanks and soul love to all who are represented on this page, and to all family, friends and beings of Love in all dimensions. Ashura & Irana (my ‘Higher Self’ as I experience her through this current embodiment) are multi-dimensional extensions of one Oversoul, expressing through many soul aspects or expressions within and across various dimensional layers, planets, galaxies and universes. While not incarnate in a physical 3D form, Ashura has a 5D soul aspect on board a lightship in the Ashtar Command fleet, the Meri’Ashar (Mary’s Star), which he moved to from the Shem Arua, a ship you can read about on this page. He is known within the fleet as Arnap, brother to Ashtar and Ashira. In hindsight, he’s been with me all this lifetime; the most vivid memory I have of him from childhood was at 8 years old, seeing an angel of white light outside my upstairs bedroom window. 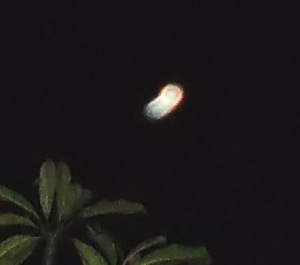 He first appeared (in a way that could be photographed) in 2012, again as a white light angel, descending from a cloaked ‘pod’ (small craft) from the Shem Arua. I didn’t know him by name for another year, until my heart connection was attuned enough by early 2014 to see and feel his ‘essence’ more clearly (though didn’t recognize him as my Twin Flame – which is in truth One Flame, One Soul – at that stage). Here is how he first appeared, with the Moon to the lower left and cloaked ship to the mid-right, with Ashura directly beneath the ship). He next appeared, stepping his 5D energy into 4D (the astral/etheric level) in human form, standing in the garden, where I’ve made a sacred geometry circle of stones and crystals on a node (ley line/Earth meridian crossing point), on the night that the node was fully cleared and activated by star family. Ashura placed higher dimensional ‘diamonds’ into the earth around the node to protect its light-flow. You can read about this node on the Gaia page. 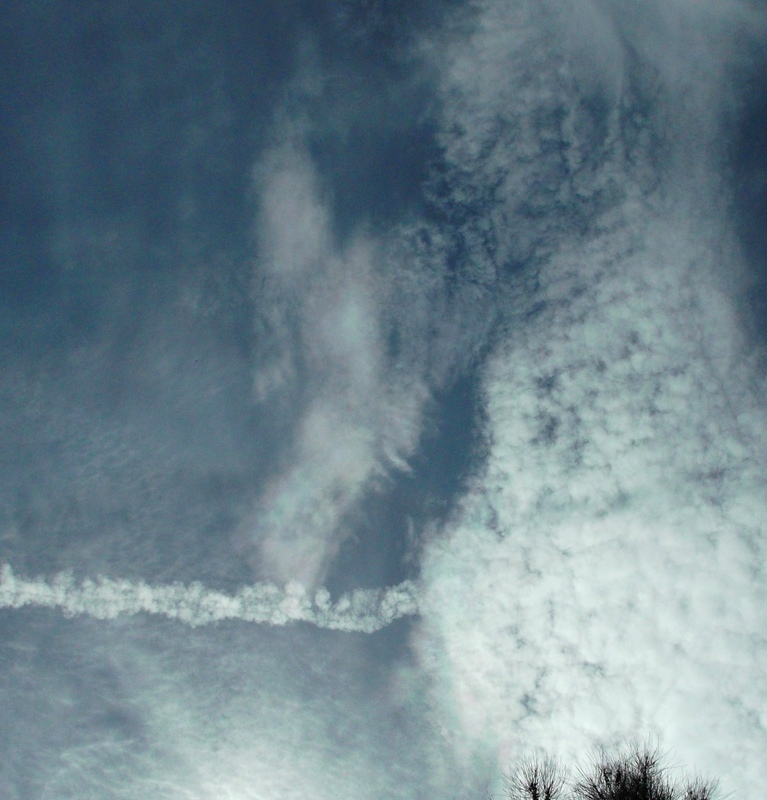 On Christmas eve of 2014, he appeared in his Angelic form (around 30 ft tall) with wings raised, in white and green light (purifying and healing), with blue of protection around his lower legs, standing on top of a chemtrail. Please read this post to understand what was happening that day. 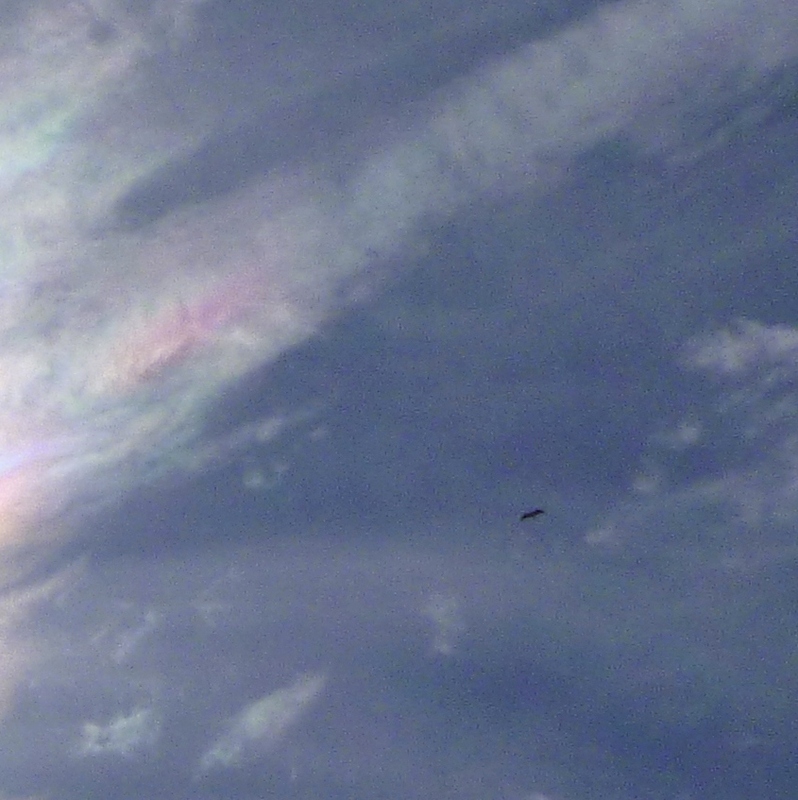 In the next photo, his face appeared – with a very good likeness – in clouds just after sunset. To see his face, find the ‘pink butterfly’ shape near the centre of the photo, which is right in front of his mouth (blowing a pink butterfly kiss), with his eyes and nose above, face framed in long hair, shoulderline visible below, especially on the left…and a ‘head-dress’ that looks like two rolled horns (or horseshoes), which refer to a life he had on Earth in ancient times that was remembered, albeit in a distorted way, as Ashur (‘sun god’ of Assyria, often depicted as a winged bull). 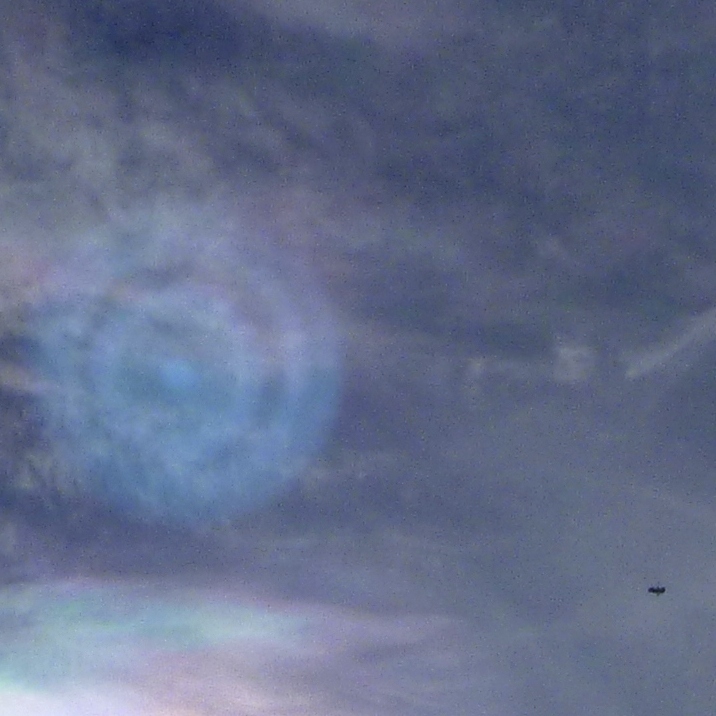 His face appeared again in a different form in this beautiful orb-like ellipse in 2015, which reflects another soul aspect on Earth known to the Celts as Cernunnos (depicted with reindeer antlers on his head, or as a White Stag – see this post). In that soul expression, he is pale skinned with dark hair, which you can see in this photo of his face rising through a white ring. His Cernunnos/Green Man energy form also appears often as a big emerald green Orb, such as in these photos. 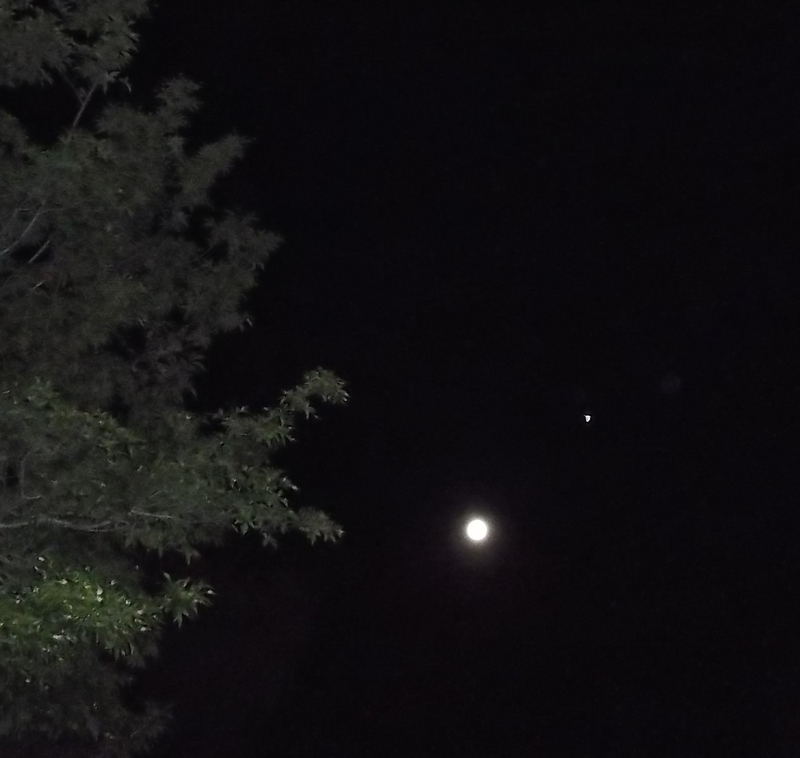 Here he projected his energy as a white Orb (Moon lower left) sitting like ‘a star on a Christmas Tree’…in the white flame energies of the Divine Mother and his White Stag energy. Before remembering our true connection, I was aware of Ashura watching over, guiding and protecting me, especially from mid-2014 onward once the Shem Arua began to appear regularly in my photos (and then visibly). Now, I feel his presence ‘from the inside’, which cannot truly be expressed in words…but here’s a visual example of how we reflect and communicate constantly, from March 3, 2016. I asked if he could show himself (or the ship) that day, and heard within to watch a patch of cloud to the north, for a hole to form (which often marks the position of the Shem Arua or other ships stationed in this area). I first saw his face forming, then a hole in the top of the cloud. 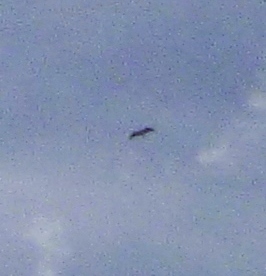 A few seconds later an eagle flew straight through the hole, toward me. I’ve circled his face (left) and the forming disc-hole (upper right) here. 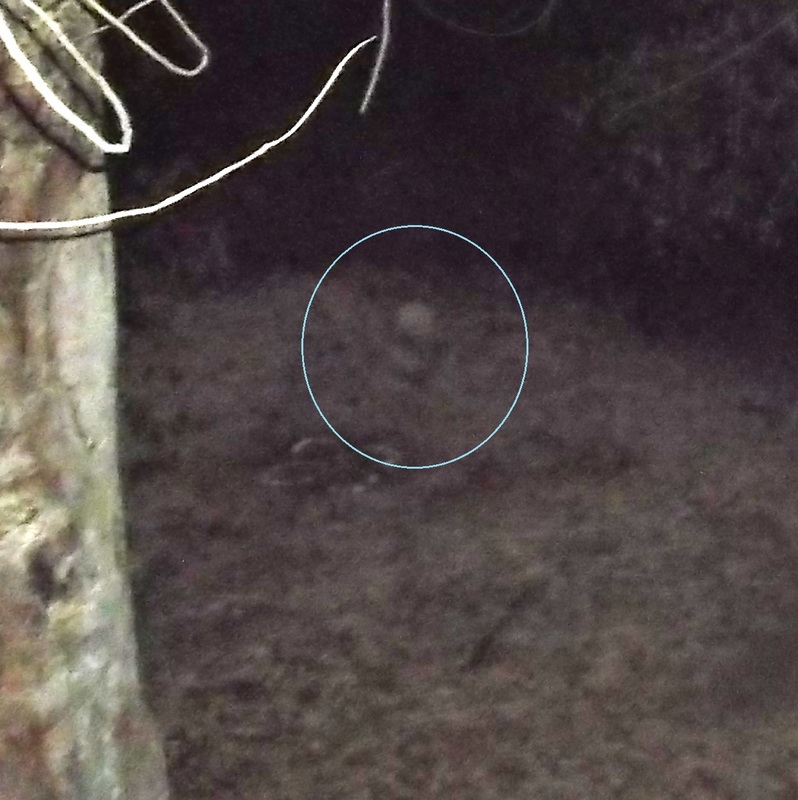 Here’s a white orb on the ground where he was standing in the driveway ~ hopefully we’ll be able to post photos of him in his 5D lightbody uncloaked soon, but for now, here are some orbs of light that appear where his energy is focused, coming through an interdimensional portal between two arched trees during February-March 2018. (To read about the context of this photo, see this post). Tanabor’s 5D form can be faintly seen in this photo, where he was standing behind the node in the garden while doing a ‘tune-up’ with it just before a major activation. Some details of his clothing are visible (a dark blue outfit with silver trim across the shoulders and v-neck), and a V-shaped higher dimensional crystal device is visible in his hand at lower waist height, which he was using to balance the energy flow of the node. The white owl shape above his left shoulder is a projection of our brother Ashira’s soul energies. While in the early stages of reawakening to my connections with(in) the Ashtar Command fleet, Ashtar’s light projection, soul aspects of his ‘essence’, appeared to me and triggered huge jumps in awakening to my Higher Self, remembering higher frequency soul aspects and aligning/reactivating soul family connections. His light-form first appeared as a bird circling the full moon, morphing between eagle, dove and ibis forms, which relate to some of his higher dimensional soul expressions, and initiated specific memories in me. He spoke into my heart that night, and my sense of soul purpose here on Earth was never the same again. Thank you dearheart. 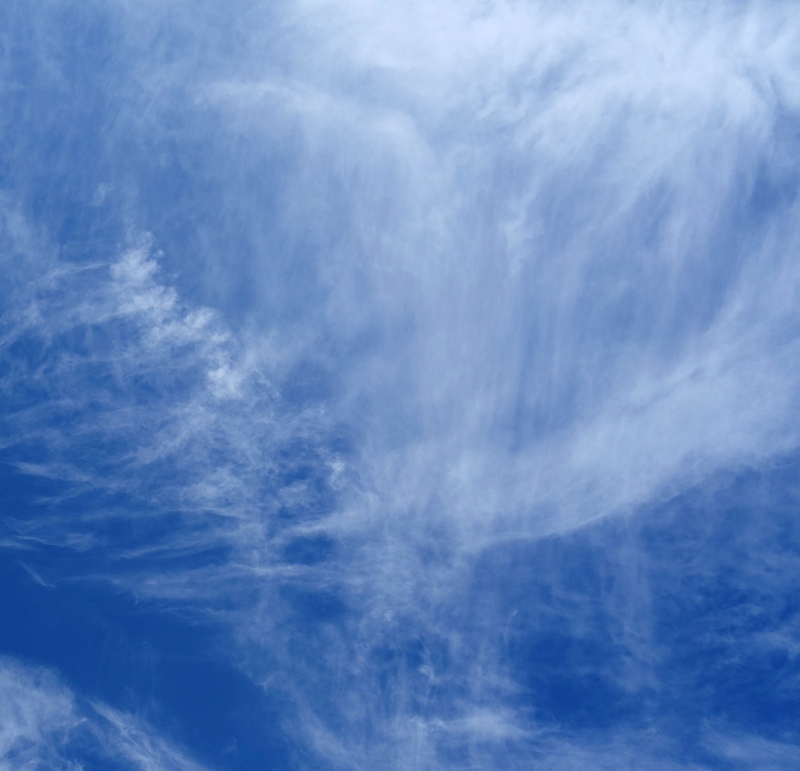 In the next photos, Ashtar’s energy projected as what looked like a physical 3D ibis that flew up above the roof and circled the Sun from the east, to meet the 4D blue ring disc representation of the Shem Arua, which circled the Sun from the west. The ibis then vanished. 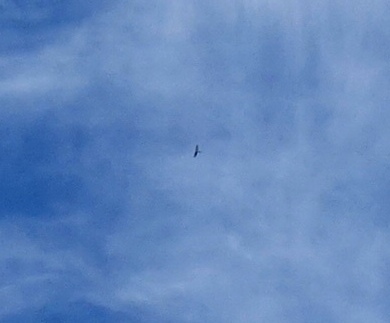 It is the first and only time an ibis has ever flown over my house (which is in hills far from the low-lying swamps they live in) and is connected to the energy of Thoth, an embodiment of the same Soul essence on Earth. In the last photo, you can see the ibis facing the ship, motionless. You can read about why he/it appeared in this post. His Ibis projection stopped mid-air, facing the Shem Arua with wings half-spread. 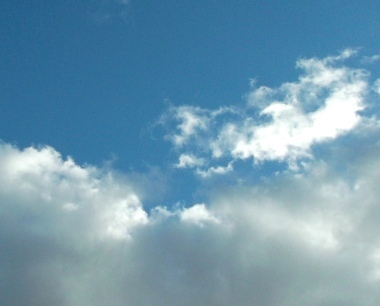 Here, his energy is projected in ‘White Eagle’ cloud form above a bank of clouds, with some precise visual messaging. There is a clear ‘S’ shape beneath the eagle form, symbolizing a serpent – the reptilian energy being lifted away from the earth by the Ashtar Command fleet. On the left wing of the eagle, there appears to be a disturbance of energies, which I was shown to be plasma explosions directed at the ‘left wing of the fleet’ at that time. Ashtar appeared in the grove, where a ley line node has been opened in the garden here, in February 2014 (see the Gaia page for more info). In this photo, his head and shoulders and just visible to the right of the ‘sacred circle’, with diagonal sash across his chest and face framed in long hair. He has appeared also in Orb form many times….this one is a connected with his Thoth energy…as you can see, it’s similar to Ashura’s ‘green man’ orbs, but has its own particular milky emerald colour I’ve not seen in any other orbs. 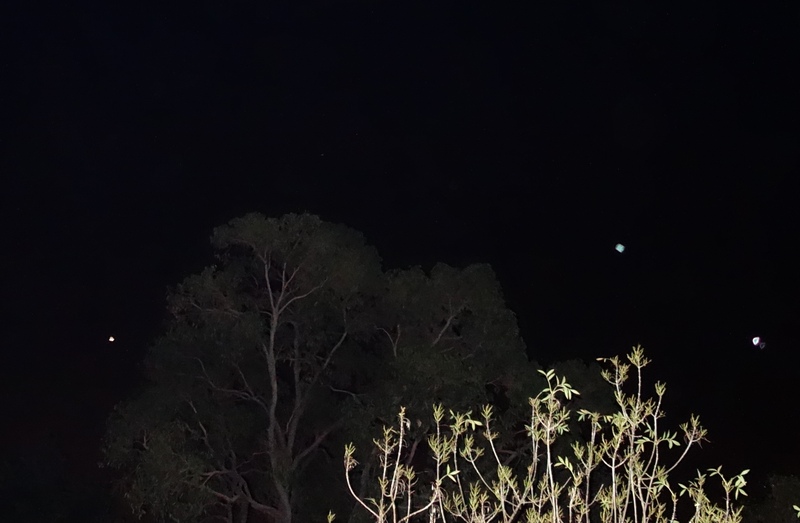 Green orb upper right of Venus, 13th May, 2015, Thoth/Ashtar energy. Raibashiit is a white lion being who has a 3D aspect on Earth as Bareld Nijboer, and we are vibrationally connected in a way known galactically as Crystal Twin Souls. This means souls whose soul energies have mingled together within a higher dimensional ‘creation crystal’ (in our case, a shard of the original Crystal of Lyra/12D portal known as the Crystal of Adin). This Crystal is currently housed within the core of the ship Shem Arua which Ashura captained (see the Shem Arua page) until 2016. Because of how soul energies mingle within these crystal shards, they feel and act similarly to Twin Flame souls. Hence, until we connected in early 2016 with our true Twin Flames, we felt our soul connection as Twin Flame. Now we know the difference of the feeling, but I write this here for other souls on Earth who may be experiencing what we did, on the pathway into deeper remembering and awareness. This beautiful orb form of Raibashiit’s energy, white with a touch of green for healing, appeared in February 2014. As you can see below, he was holding a portal open, marked by four orbs directly beneath his big white orb, making an exact parallelogram (doorway). Another soul aspect of Raibashiit appeared in 2012 in the form of a man of light walking in the sky, while we were focusing together on Egyptian lifetimes. He projects to me as a white-gold orb, flashing its light often in my house. 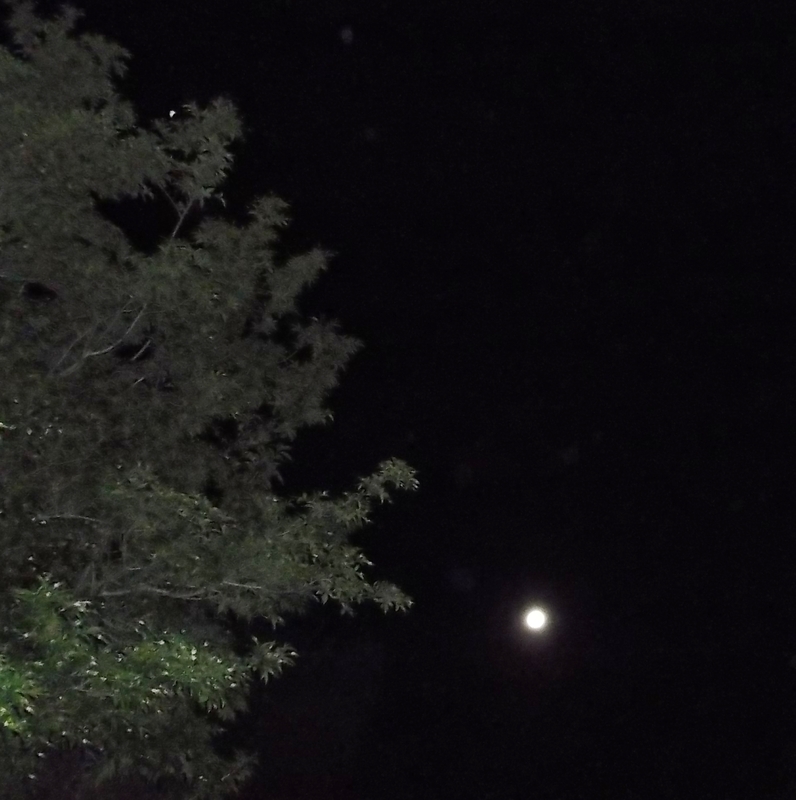 Here is his orb hovering beside a tree in the garden at night. Ashtar, Ashura and other members of the Command have projected many times in the form of white light Eagles. 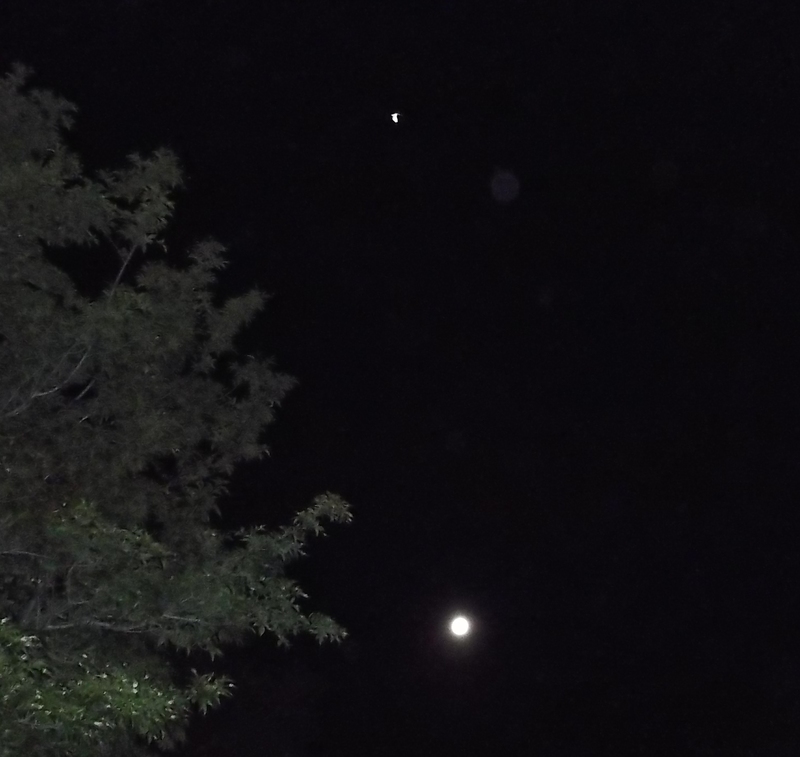 Not all have come out clearly in photos, but here are two of them. This beautiful ‘baby’ wrapped in a blanket of blue light, with soft rose-gold around its head and shoulders appeared in 2012. An ‘Angel in a raindrop’ appeared on September 15, 2016, during a rain shower. 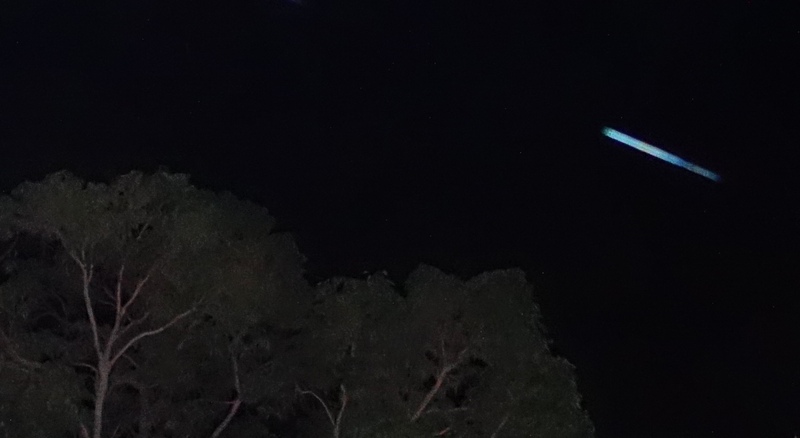 This bright beam of blue-white light hovered over the sacred circle in my garden (which you can read about on the Gaia page) on May 11, 2016, gradually lowering over the circle, and came from a guiding soul group in preparation for a healing. While walking in the bush nearby, I came to a grove of she-oaks where the presence of star family felt strong – a place they have been to many times, that has ‘imprinted’ with their higher frequency energies, giving it a very soft, warm feeling different to the surrounding bushland. In the photo below, taken on April 27th, 2016, there are misty horizontal white bands (one crosses in front of a tree), which is the fifth dimensional frequencies showing through momentarily into third dimension in that place. 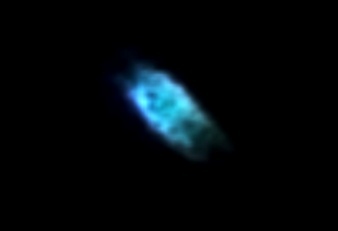 In the enlargement, you may be able to see a green dragon-merged-with-deer’s face in the centre, with a white face below (in the central ‘white mist band’). 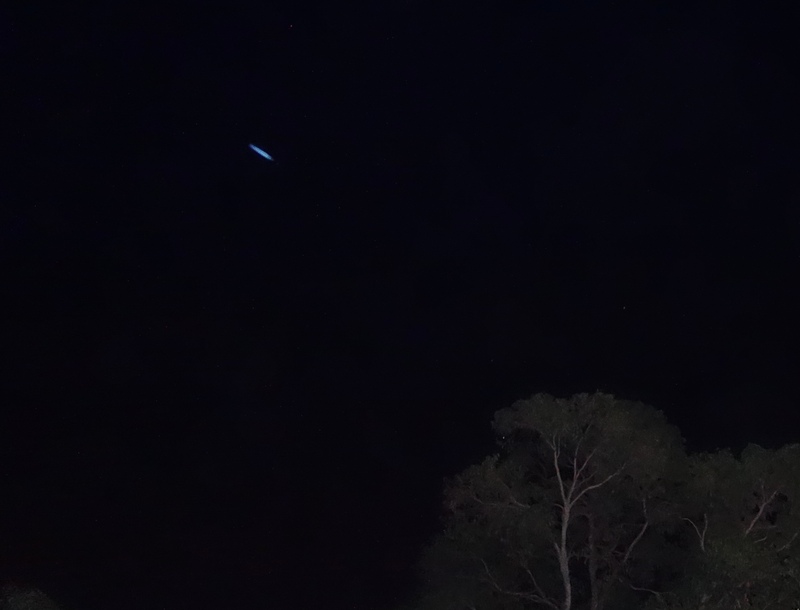 On June 1st, 2016, this beautiful blue light – which is both a ‘lightship’ and the projected energy of a group of Sirian beings (leonine, human and cetacean) came in to give help to a soul which can be seen/felt within the crescent ‘envelope’ of light. This visualized so clearly because the soul being assisted is well-known to me. This loving healing took place a couple of hours after this bright ‘light cube’ of Arcturian Angelic Light flashed right overhead. The whole sequence can be viewed in this post. 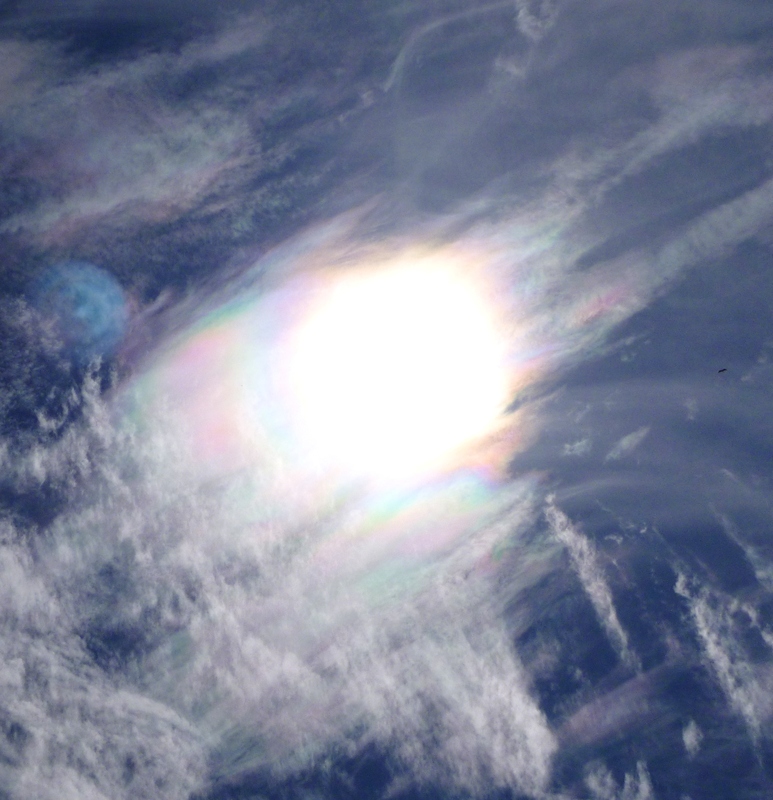 The following beautiful light beings appeared on October 8th, 2016, connected with our lightship, the Meri’Ashar. You can see a circle of beings standing facing inward in the first photo, and dancing in the second. Near them appeared these shining ‘cups of light’. This beautiful soft white and pink ‘Loveheart of Light’ appeared as though rising up from an open portal, on April 5th, 2017. 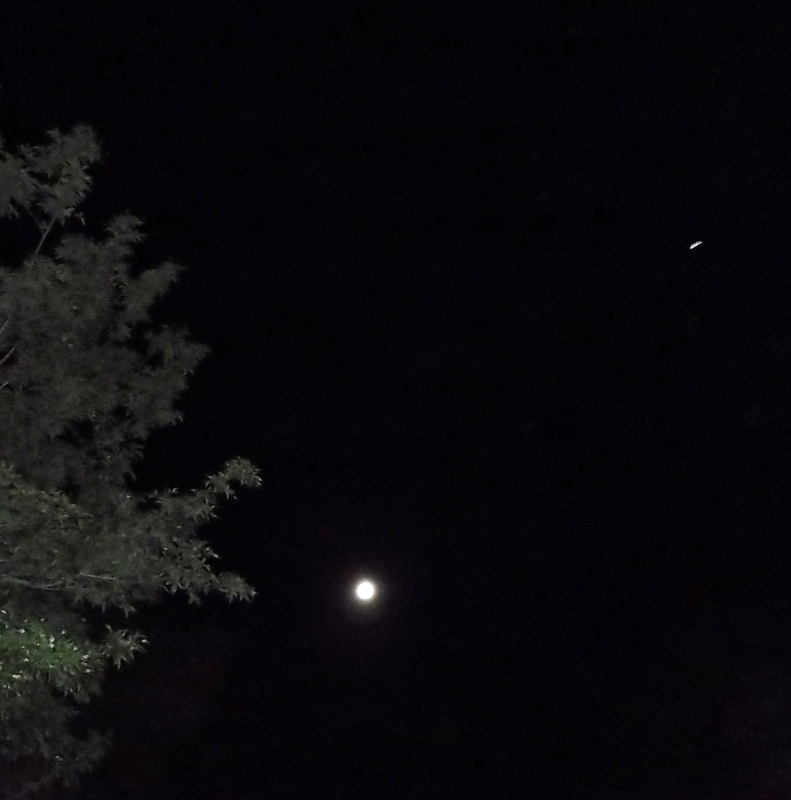 These two photos taken in sequence a couple of second apart on June 2nd 2018 show how quickly higher dimensional beings and energies can ‘focus into alignment’ then ‘disappear’; in this instance, a lightship flashed overhead as it flew toward Alpha Centauri and between the two bright stars Alpha & Beta Centauri, just before beings from that star system ‘landed’ their light, at a moment when they were wreathed in lower astral ‘smoke’ while clearing and transforming some lower astral energies during a specific mission. Love you pictures. 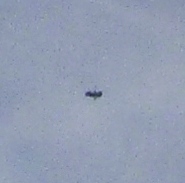 About 3 years ago, I started seeing these Light Beings with my naked eye. Some of your pictures look just like the Lights I see. All together, there are seven different Lights. There have been green ones show up in my pictures, but I have not seen them yet with my eyes. Just recently after we planted our garden, the green Lights showed up in the pictures over our garden area. I just added some new shots that feel akin what you’re seeing (scroll down the page if you’d like to view them). In the photos, this ‘healing light’ has appeared blue, but to my physical sight, I was seeing more a green colour. Hi Joanna. It looks like you have even more light beings visiting you than me! I’ve been witnessing this type of phenomena nearly every night! I feel only positive energy from these beings. 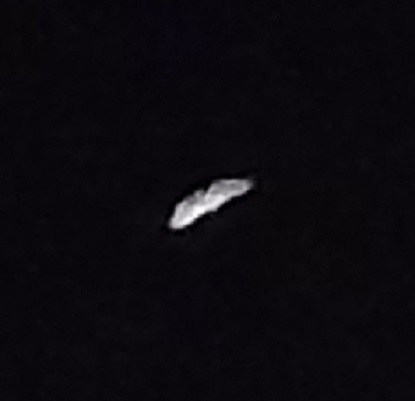 The first time was a little unnerving, given it was a UFO and I didn’t process their spiritual nature right away, Now it seems to be a blessing each time I see them. Thank you for sharing your photos. I only have a few pictures and will start documenting them more closely.